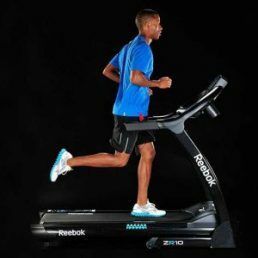 Stop looking for treadmills now because the issue is not whether there will be cheaper treadmills the issue is how quickly you and your members can begin profiting from your brand new treadmill and how well the treadmill will be backed up in South Africa. 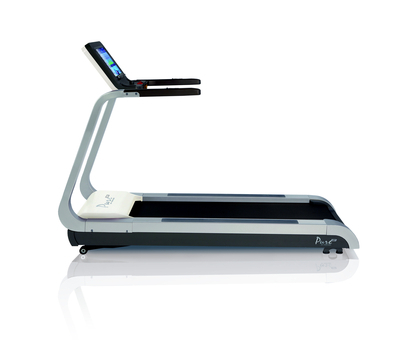 You have found the new Tunturi Pure range of light commercial treadmills and home treadmill. Please note that this unit has been updated and replaced by an even better valued unit. Please take a look here for other treadmills, or contact me so I can source the right gym equipment for you. 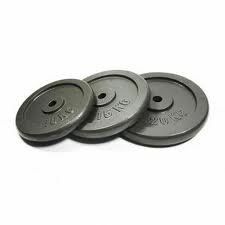 Tunturi Fitness is one of the oldest gym equipment companies in the world. Millions of people around the world have benefitted from the Tunturi Gym equipment research and development division. 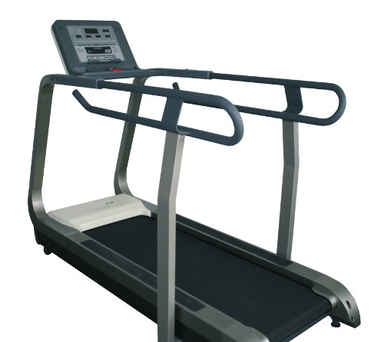 Tunturi has pioneered many unique innovations on treadmills and other items of gym equipment. After being in business for nearly a century, Tunturi still works at making exercise fun, safe and effective. The Tunturi Pure 4.0 treadmill offers a commanding 2.5 horsepower treadmill motor with a 4 horsepower peak. You will appreciate the ample top speed of 18 km/h and fat busting incline of 12%. 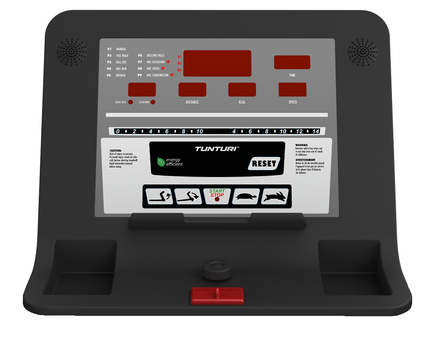 The Tunturi Pure 4.0 treadmill offers 13 programs including the well known Tunturi heart rate control program. The treadmill running area, (or running belt dimension) is a very generous and forgiving 150cm long, by 50cm wide. This is significantly wider and longer than that offered by most of the smaller supermarket treadmills. What makes the Tunturi range especially valuable in the South African gym equipment and home treadmill market is the amazing 15 year warranty on the frame and the motor. This is almost unheard of in the South African gym equipment market. The Tunturi Pure 4.0 treadmill can take users of up to 135kgs. 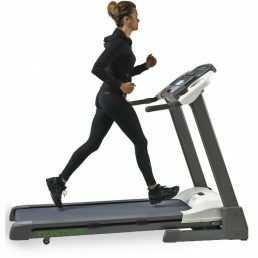 A notable feature of this light commercial and home treadmill is the T Flex running deck system. The T flex absorbs shock and reduces impact to joints making it more comfortable for runners or anyone who suffers from running or repetitive use injuries. The Tunturi Pure 4.0 Treadmill is competitively priced to suit your budget for a top quality treadmill. Call now or email for our latest pricing and monthly specials on all gym equipment and treadmills. The Tunturi Pure Treadmill easily finds itself categorised as a “Holistic Gym Equipment” piece. The blend of dynamic and flowing looks make it one of the most attractive looking treadmills on the South African gym equipment market. 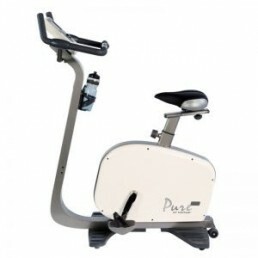 The long term warranty just adds to the overall appeal and make this a firm home gym and light commercial gym favourite. So what action will you be taking after reading this article this far? 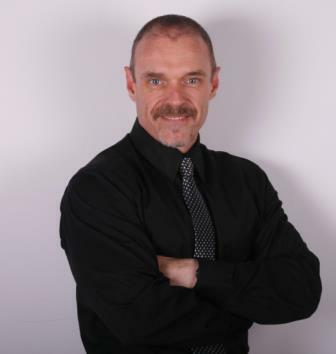 Some people will call immediately and put their goals into action right now, others prefer to email me now and get more information about how we can help you. Whichever way you choose to set this cause into motion, do it right now.